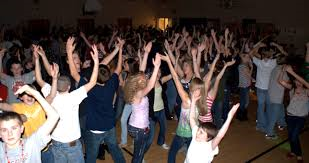 Friday, September 16 we will host a 7th Grade Social. This will be an opportunity for all seventh grade students to visit with their new classmates outside of the structured classroom. We will have music, games, and light refreshments in the cafeteria. Event is from 6:30-8:30, and is only $5 with student ID. Students must be enrolled at Bedford Junior High as a 7th grader to attend. Battle of the Classes! Which homeroom will bring in the most can goods? We will have a first place winner for each grade level and they will win a pizza party or donut breakfast, whichever the winning class chooses. Bedford Junior High has brought in the most canned goods three years in a row. Let's make this our 4th win! All food items collected in this annual competition directly supports families in HEB so please give all you can! 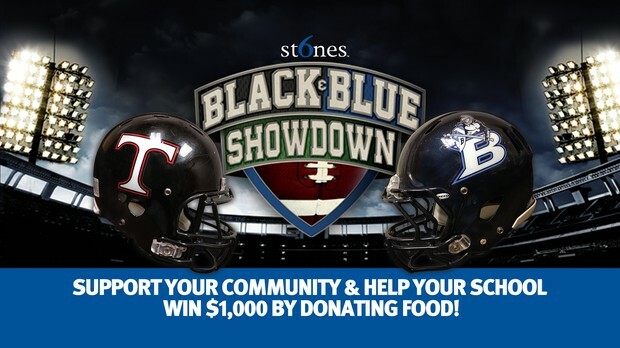 We need everyone’s help in the Black and Blue Food Drive. NEED MORE INFORMATION? USE THE LINK BELOW TO VISIT 6STONES. FALL PICTURE DAY IS SEPTEMBER 23rd. 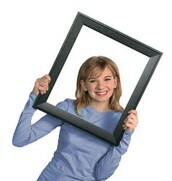 Get more background choices for your student's school pictures by ordering online at mylifetouch.com today! • New MyFamily rewards program available online. Please submit your portrait order by Friday, Sep 23 for free shipping to school. From now until the end of the September you may purchase a yearbook for $35.00. To purchase online with a credit/debit card use the link below. 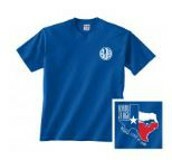 If you prefer to order through the school, checks should be made out to BJH and sent to Mrs. Keneda in room C109. Along with the check please provide the student's name and an email address so that a receipt may be sent to you. Beginning October 1 yearbooks will be $40 online or $45 for on campus orders. 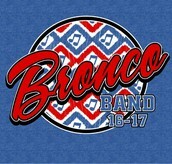 This year the band shirt is awesome. It's so awesome that the band is offering to let parents and band fans purchase one of their own. 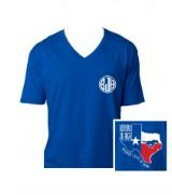 Sizes available run from adult small to adult 3XL and the cost is $12. 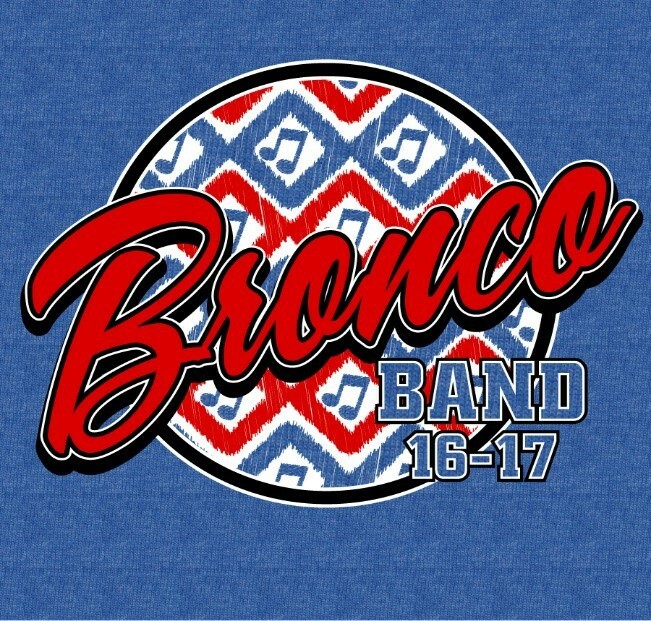 If you are interested in purchasing a t-shirt please use the link below to the BJH Band website where you can download a copy of the form. Send money and order form to BJH, ATTN: Kristin Johnson, in an envelope with your student’s name to ensure correct delivery. If you are looking for a BJH T-Shirt to support your student's school, then the BJH Cheer Team has just what you are looking for. Offering three different styles of shirt in sizes Youth Small through Adult 3XL the Cheer Team has something for everyone in the family. You have from today until the 30th of September to order your shirts. To make ordering easy there is a online order form for credit/debit cards and form for ordering with check or cash. See the links below. 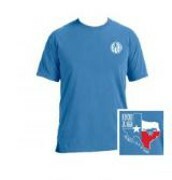 All shirts will be delivered to BJH and distributed to your student to bring home. The Custom Order Form link below will take you to the online ordering website if you would like to order your shirts using a credit/debit card. The Cheerleading Document Manager link will take you to the webpage where you can download an order form to purchase your shirts directly through the school using cash or check. After you print and complete the form return the form to Mrs. Prather in room C108. 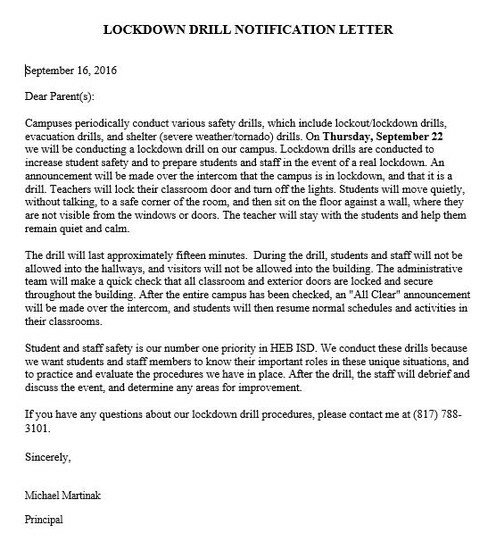 As a new school year begins we encourage all students to become involved in school activities at BJH. There are so many clubs to choose from so everyone can find a place to belong. This week we are highlighting the Chess Club. Clubs are open to all grade levels. Please encourage your student to explore a club at BJH and find like minded friends. The BJH chess club meets every Tuesday in G110 from 3:15 to 4:15. We play traditional chess and chess 4 (where chess isn’t just a game it is a war). We accept all levels of play from expert to novice and the club is eager to help new players to the game. We are a fun group that encourage each other in strategy and thinking skills. We look forward to seeing new people. 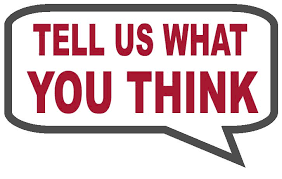 Please take a moment to take a very brief survey so we may better improve our processes and procedures at BJH. We would love to hear your feedback! 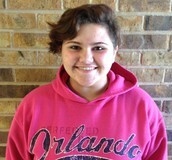 8th grader Ashley Eckert has been named a finalist in the FC Dallas art contest sponsored by Elephant Auto Insurance. To determine the grand prize winner, Elephant Auto Insurance will host an open voting on their Facebook page starting Tuesday, September 13th and concluding on September 20th. The art piece with the highest number of ‘likes’ will receive a $1,500 donation to their schools art teacher/program and a VIP meet and greet with an FC Dallas player! Below is the link to the Facebook page, once you open the link Facebook will ask you to log into your Facebook account, after you log in you can click on Like and you can also share the link with others. We encourage you to help us support this talented young lady and the BJH art department. 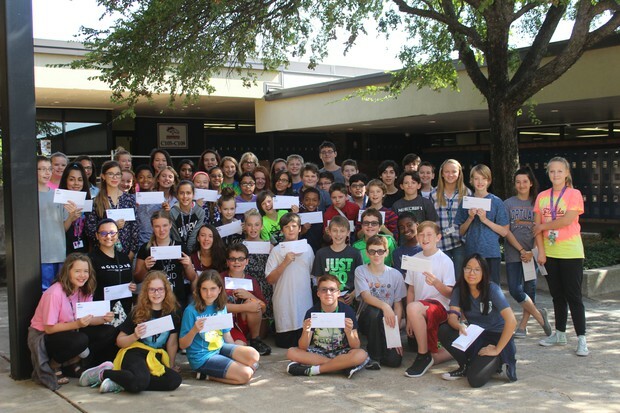 Congratulations to BJH Duke TIP students! 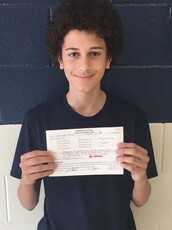 This award is a prestigious honor which allows the students in the 7th grade to take the SAT or ACT, which normally is given to Juniors and Seniors in High School. The program itself is not about getting into college; it is about evaluation and the possibility of academic potential. The students also receive a monthly magazine called Insights. This magazine offers information on subjects of potential interest to the students. We are very proud of our Duke TIP students. 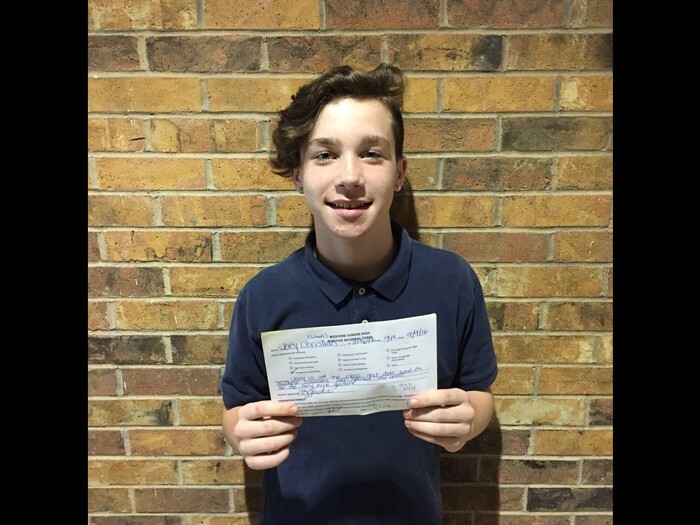 Mr. Seil witnessed Jarrod stopping to help another student who had dropped his belongings. Thank you Jarrod for being courteous and a great Bedford Bronco! 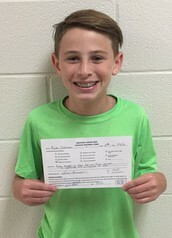 Mrs. Fuchs wrote Joey a positive referral for his willingness to help a teacher by opening her door for her on multiple occasions as she walked to her classroom. Thank you for being a great Bronco Joey! 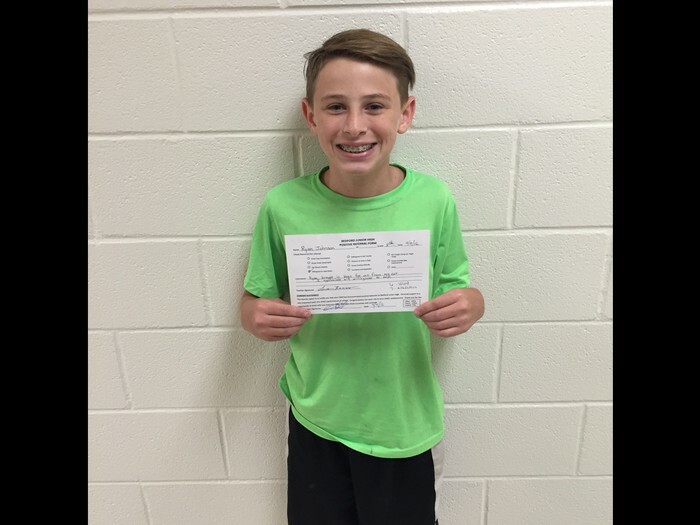 Mrs. Romero wanted to recognize Ryan for his willingness to help others when he helped her bring multiple bags from her car to her classroom. Thank you Ryan! 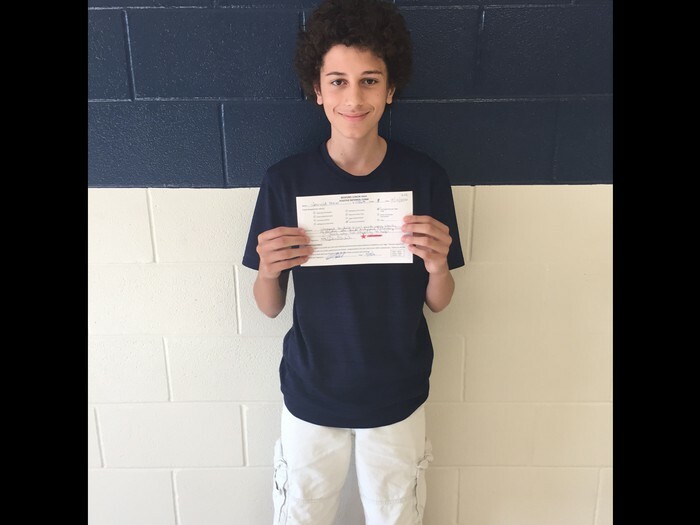 Mrs. Fuchs would like to thank Salvador Canul for being courteous and respectful. Salvador rushed ahead of Mrs. Fuchs to open the door for her. She really enjoys seeing students who are polite and respectful! Way to be a great Bronco! 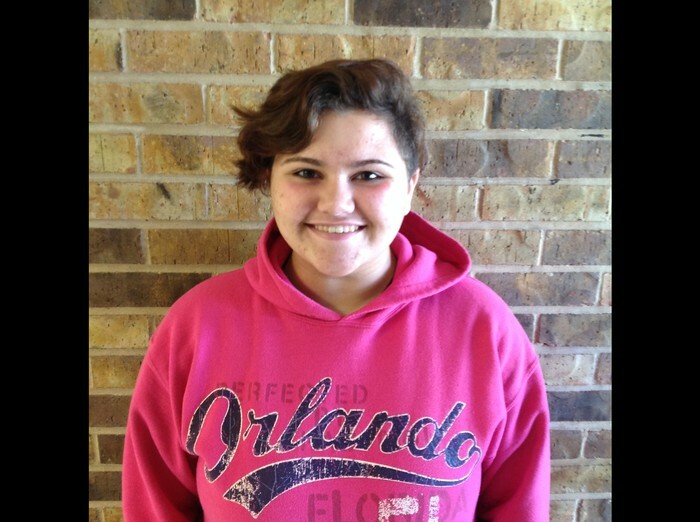 Mr. Seil would like to thank Kylie Hiatt for being courteous and respectful! Kylie stopped Mr. Seil in the hall and ask for directions. She was extremely courteous and polite. She had a happy and bright smile throughout the conversation! 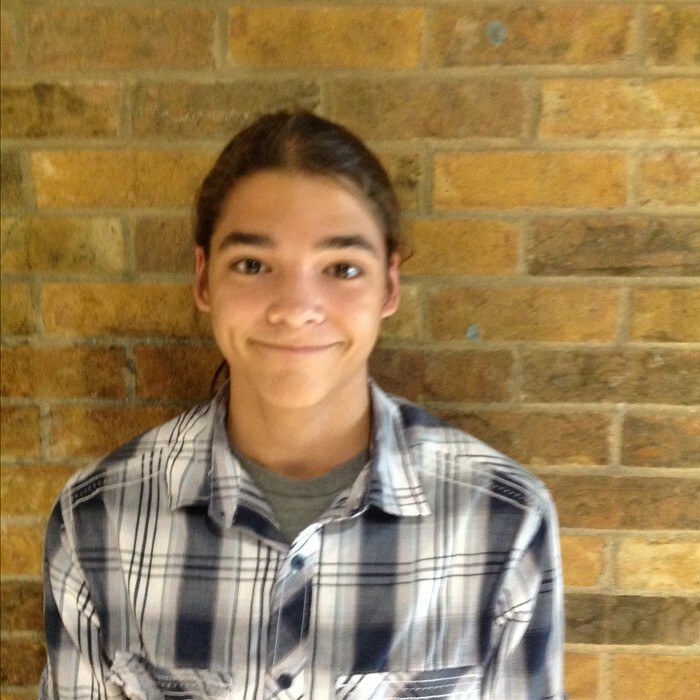 "I am very excited to be here at Bedford Jr. High and I am enjoying all of my students. 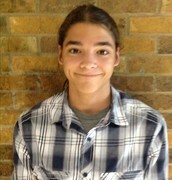 This is going to be a great year and I love being part of the BJH family." - Mrs. Lawrence. Mrs. Lawrence begins her twelfth year of teaching as the new Biology teacher for 9th grade at BJH. She has also taught 5th—9th grade science but says that Biology is her absolute favorite subject out of all of the sciences. Mrs. Lawrence earned her masters degree in Educational Leadership and Policies from The University of Texas at Arlington and a Bachelors Degree in Science Education from Texas A&M Commerce. Currently she is preparing to begin a Doctoral Degree in December. She is also a member of the Texas Association of Biology Teachers and was named Outstanding Biology Teacher in the State of Texas for Middle Schools for 2016. Mrs. Lawrence is one of the advisers for Student Council this year and a firm believer that students should be part of some type of school activity to help develop their leadership skills, social, and emotional development. In her free time she enjoys spending time with her family and doing arts and crafts. The third week of our Cafeteria Cleanliness Competition has been completed. 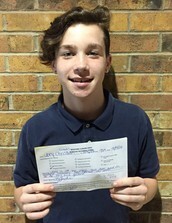 B lunch led the way with 22.3 points followed by C lunch with 20 and A lunch with 19.5. Thank you again to all of our students who are staying inside and helping with the cafeteria cleanup at the end of lunches! Kalib Ireland for C lunch. The 9th grade Lady Broncos lost this week in two games 25-21, 25-19 to Flower Mound. Leading attackers were Piper Boswell, Maddie King and Gracie Loyd. Leading defensive players were Rhett Normand and Claire McDonald. Congratulations to both the 8TH grade A & B Volleyball Teams they defeated Haltom Middle school Monday night! The A team won 25-5 & 25-17. Sasha Caldwell & Emma Campbell both led the team serving up 10 points each. Jacey Grogean served up 7 points & Rylie Theadore served up 4 points. The B team won 25-18 & 25-9. Kyla Meyer led the team serving up 19 points and Feaven Fasil scored 5 points. Emma Boyd and Emily Quinn led the team in defensive passing. The 8th Grade Volleyball Teams fought hard against Smithfield Middle School on Wednesday but fell short. Emily DuFrane, Yazmine Garcia, Emma Campbell, Olivia DeBellis, Sasha Caldwell, Andrea Mitchell, Kaitlin Dietel, Rylie Theodore, Jacey Grogean, Lauren Tietjen, Jessica Matthews,Emma Boyd, Alexis Echavarria, Ellie Angell, Kyla Meyer, Madison Lallande, Megan Vandergriff, Feaven Fasil, Chloe Moore, Jessica Hebert, Reagan Podsednik, Kylie Peterson, Emily Quinn, Ella Rogers, and Manager Avery Hodges. Both the A and B volleyball teams marked up another win yesterday against Haltom! Last night the Broncos improved their record to 3-1….you know….. like Coach Bird promised at the pep-rally. They had a great win against Central Junior High beating them 21-14 in a weather delay marathon. The defense played terrific again….Ricardo Valentin, Christian Gadison and Colin Ruby had interceptions to help the defense shut the Spartans down. On offense we used three touchdowns….one each by Christain Gadison, Ethan Shackman and a touchdown pass to Colin Ruby…to improve our record to 3 and 1. Great job to all the Broncos and the fans who stuck it out and cheered us on!!! Come on out Thursday of next week at 5:30 pm at Pennington to see your Broncos beat Harwood and improve their record to 4 and 1. B team lost a close one to Haltom MS 29-6. Jose Calderon caught a touchdown pass from Colton Finney. Both teams improved from a week ago, but we still have a lot of work to do to reach our potential! A team lost a tough game 20-6 to Smithfield MS. Austin Scheets had a nice touchdown run for the Broncos only score. B team lost to Smithfield MS 47-0 in a heart breaker. Both teams showed promise but we have a long way to go! The American 1 team lost a tough one to Central on Monday. Despite the loss Dylan Koster lead the team with big hits and Colby Nelson lead the Broncos offense. Come out to Central next Monday at 4:30 and root on the Broncos against Euless! The American 2 team lost 33-12 to Central last night. Highlight for the night was two long touchdown runs by RB Alexander Lynn. Broncos look to bounce back next Monday against Euless at 5:30 at Central Fields. The National 1 team lost 18-0 vs. Haltom MS. K'eonte Wilson had several long runs and a fumble strip and recovery. Riley Mella also ran the ball very hard for the Broncos. The National 2 team lost 8-32 to Haltom MS B team. John Walsh was running would-be tacklers over all game. Kyle Brewster had 3 catches including a touchdown.